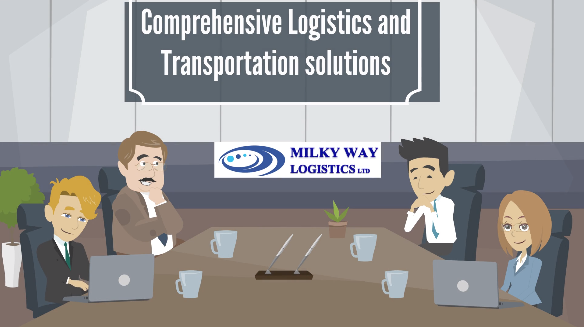 Thanks to the UK location uniqueness and links of major sea ports and coverage by major international shipping lines, Milky Way Logistics offers professional shipping solutions at a very competitive rate for shipping container from UK to Kuwait. Any size of goods from anywhere within the UK to all Kuwait major ports are covered. From less than a container load (LCL) to multiple containers can be carried our in our shipping container solution from UK to Kuwait. There are daily Shipping services from UK to Kuwait by major shipping lines and the services are guaranteed for quality. The process of shipping container from UK to Kuwait is as follows; the shipment would be negotiated, and rate would be agreed with the shipping line. The shipping documents including commercial invoice and packing list would be received. The space booking would be arranged as per the shipment details and empty container would be sent to the shipper’s site for loading and stuffing. After loading container, the filled containers will be brought back to the port for weighing, sealing and custom formalities. Upon completion of formalities the filled container will be loaded on the vessel and ship out to its destination. There are different transit times for each shipment to arrive in Kuwait which is dependent on the type of service and if it is a direct service or there are transhipments include in the journey. If there are any transhipments included, then the container must be unloaded from the sailing vessel at an intermediary port and reloaded into another ship which is for destination to Kuwait. For any size of shipment and any nature whether temperature controlled or HC or 20ft or 40ft or FR, whatever your requirement for shipping from UK to Kuwait please contact Milky Way Logistics at enquiries@mwll.co.uk today and one of our expert sea freight staff will be contacting you and helping you through to delivering your shipment at your destination.